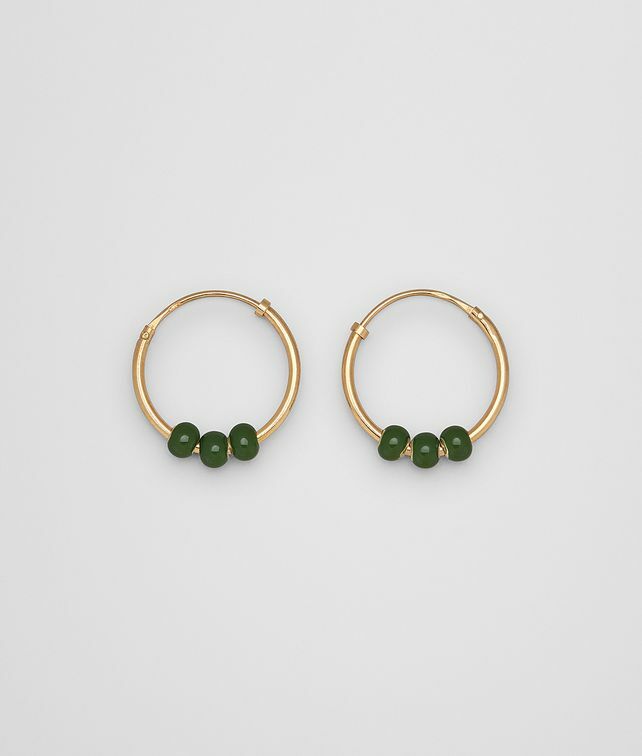 These hoop earrings are made from sterling silver with a warm gold finish accented with three sliding enamel spheres. New for Spring/Summer 2019, the earrings’ classic design reflects the season’s focus on modern essentials made with Bottega Veneta’s elevated level of craftsmanship. Diameter: 2.0 cm | 0.8"